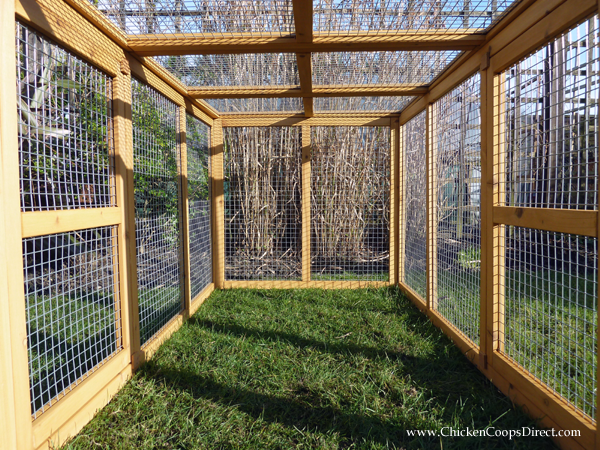 One of the biggest challenges for chicken keepers is knowing what to look for when buying a chicken coop and run. Pick the wrong one and you can cause your hens to live in conditions that are unhealthy, give them a poor quality of life and which leave them vulnerable to attack from predators. Poor quality coops also make it hard work for you to clean, feed and collect eggs. To make sure you make the right decision, this post will give detailed advice on how to choose the best chicken coop for your hens. How many hens do I need? When considering buying a coop, you need to ask yourself how many chickens you want to keep and what you want to keep them for. Only when you know this can you buy a coop and run of the correct size. For example, a typical family of four who wanted hens to supply them with eggs would need enough hens to lay around 700 eggs a year. The number of hens needed to lay this number of eggs would depend on the breed. For a regular laying breed (200 eggs per year), three to four hens would be sufficient; however, there are some breeds which lay only 80 – 100 eggs per year and this would mean you needed 6 – 8 hens. Remember too that all hens lay fewer eggs as they get older and egg laying is not consistent throughout the year; winter laying can be much slower. Hens can also stop laying when they moult, which can be at any time. These factors will influence any decision you make on the size of your flock, and so you need to think carefully about what your needs will be before looking for a suitable coop. You should also think about the future. What will happen a few years down the line when your current flock begins to stop laying? Will you keep them when you buy new ones? If so how big does your coop need to be? How many hens can I have? Legally, you are allowed up to 50 hens before you have to register with DEFRA, (Department for Environment, Food and Rural Affairs) however, in reality, the limiting factor is outdoor space. Hens need to roam outside in the garden and an absolute minimum of 1 sq. metre per bird is needed, more if possible. 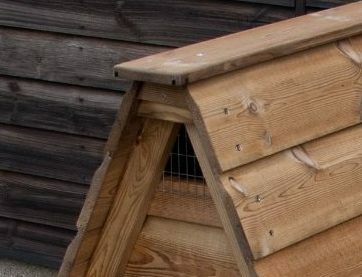 If you keep them in a run to protect them from predators and other family animals, or to protect the rest of your garden from being scratched bare, devoured and pooped on, then you need that zoned off area to house them, plus the area needed for the coop itself. A coop or hen house is the name for the structure in which hens sleep and lay their eggs, the outside area, where they spend most of the day, is referred to as the run. Coops and runs come in lots of shapes and sizes and can be made from a variety of materials. Like all products available on the market, there are good ones and bad ones and, at the same time, there are retailers who will market their products responsibly whilst they are others who will advertise a rabbit hutch as a chicken coop. To make sure you get things right, this guide will look at the factors involved in buying a suitable coop. Animal welfare is important and you must abide by the guidelines set down by DEFRA and supported by the UK Poultry Club. So, when looking at the size of the coop you need you need to know that the minimum space per hen is one square foot of floor space per bird. However, if you try to imagine 3 hens in a box that was only 2 feet long and 18 inches wide it wouldn’t look very comfortable. There are other things you need to take into consideration. Essentially, inside the coop there needs to be adequate room for the hens to move around comfortably; make their way to and from the nesting box; and jump up to the perches without climbing over each other. There also needs to be space for a food and water dispenser that’s not going to be trampled on or knocked over because it is so cramped and away from underneath the perches so it doesn’t get filthy with droppings. Overcrowding can lead to physical illness and injury as well as affecting the behaviour (boredom, depression, squabbles and pecking) and laying of your hens. The size of the breed also has an impact on the size of coop you need to. As a rule, if a coop is advertised for 4-6 birds, take it to mean a maximum of 4 large hens, 5 average hens or 6 bantams – but check the internal dimensions of the coop properly before buying to make sure you can fit all your hens in there as well as leaving space for all the things mentioned above. Do remember that the coop is not where the hens should be all the time, so it doesn’t have to be massive. It’s generally for night time use when the hens like to roost together (they actually like being ‘cooped up’ to feel warm and safe in the dark). During the day, it’s only real function will be as a place to go lay eggs. If it’s extremely cold weather you may want to keep them in during the day, but otherwise, they’ll be much happier outside. You’ll be collecting eggs almost daily, so make sure that you choose a coop that makes this as easy as possible. Luckily, a lot of coops have this built into the design. There is usually some kind of lid or door to the nesting box itself which allows you to get to the eggs without having to reach inside the coop or the run. This not only makes collecting less hassle but stops you from disturbing the chickens. Keeping your chicken coop clean is essential to the health of your chickens. The coop will need a good clean out on a weekly basis. You’ll want to get rid of the droppings, the dirt, the old bedding and give the place a hose down. It sounds like a big job, but in reality, a well-designed coop will allow you to do it easily and in very little time. Easy internal access: a large door, removable or hatched wall or wide opening roof. A quick word about waste: if you have chickens you will need to compost your manure. Buy a good sized composting bin to reduce the smell in your garden and mix other compostable organics. You can use, once composted, on your garden or let your local allotment keepers have it. A chicken coop that does not have adequate ventilation shouldn’t be bought as it’s a major health hazard. The ammonia produced from chicken droppings can, in a small, unventilated environment like a coop, build up to toxic levels. 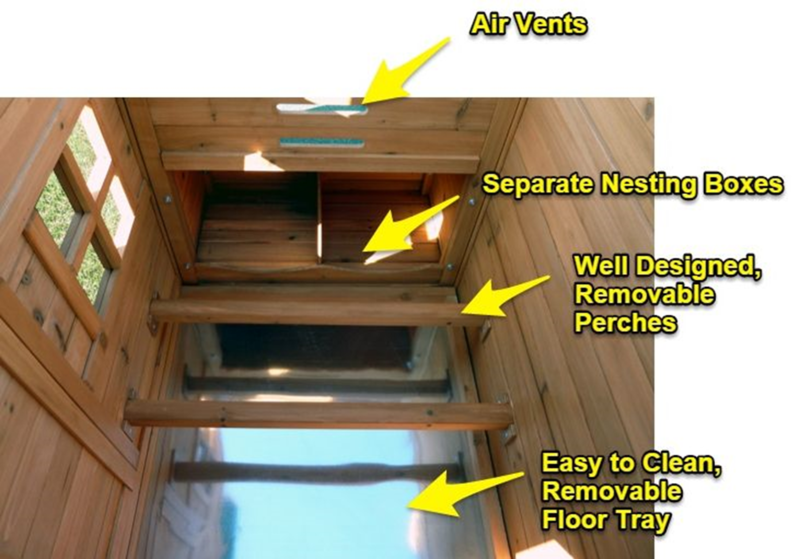 It’s essential, therefore, that there are at least two ventilation points in the structure – as stale air is drawn out of one hole by the wind, the air pressure in the coop decreases and this pulls fresh air in through the second vent. 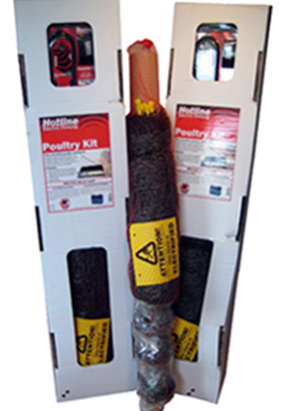 This will also keep the air in the coop cleaner, fresher and reduce the number of airborne bacteria and viruses that otherwise could lead to respiratory problems developing in your flock. In addition, it will draw out excess moisture, keeping the coop dryer and in the warmer months keep the coop cooler preventing overheating. That said, chickens do not like draughts, which is why most good coops have ventilation points near the top of the coop as it keeps the air flowing without it blowing directly onto their feathers. Some coops have adjustable ventilation which you can make wider and colder depending upon the conditions inside and outside the coop. (if the coop is due for a clean you may want to keep it wider, or if it is very cold, you may want to close it a little.) Never fully close it, though. If there is a sizeable ventilation hole, big enough for a small but fearsome predator such as a mink or a weasel to climb through make sure that it has a tough mesh covering to prevent them from getting in. Ensure that the coop will keep your hens safe from predators. Chickens have quite a few predators in the UK. We all know about foxes, especially with the increase in the urban fox populations, but badgers, weasels, stoats, mink and even some larger birds of prey will also kill your chickens. When choosing a coop, there are a number of design features you should look for to prevent attacks from predators. Firstly, a coop that is raised off the ground gives better protection from any predators that will try to dig or gnaw their way in. It will also prevent vermin from building a nest directly under the coop and with the coop not touching the ground it will last longer too. Secondly, make sure that your coop door and any other entrance (e.g. nesting box) is lockable. Most good coops come with galvanised bolts and some of these are heavy duty – these can make sure that a predator can’t try and force the door open. Many coops are designed to be pretty much predator proof at night when locked, however, chickens are probably most vulnerable during the day when in the run. A well-protected run will also doubly protect the coop. We’ll go on to discuss runs later in the booklet. Hens like to feel safe from predators and so naturally like to perch as high above the ground as they can. In winter, they also like to roost close to each other so that they can share warmth. It’s important that your coop has enough perches so that every hen can perch at night and that they are wide enough to accommodate more than one hen. Perches also need to be comfortable. Chickens prefer to perch on flat surfaces with slightly rounded edges so their feet can comfortably grip onto it. The perches should be about 3 to 4 cm wide and wooden to retain warmth. Narrow pieces of doweling, plastic or metal piping isn’t suitable. A well-designed coop will have perches that can be easily removed for cleaning and be situated away from food and water to prevent the birds’ droppings from contaminating them. A hen is naturally vulnerable when laying an egg and will always prefer to be on her own in a dark, quiet place somewhere away from a from the rest of the flock. For that reason, you need to look for a coop that has nesting boxes which hens would feel comfortable in. As you want to eat the eggs, it’s also important that this is a space where the freshly laid eggs will stay clean, easy to collect and not get broken by other hens. Many good coops have a nesting box protruding from the side of the coop with egg collecting access via a hinged lid. 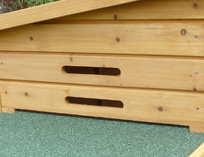 If you look inside these boxes, you will find they have been divided into two or more discrete compartments (see image above) which allows two or more hens to lay at the same time. It’s also possible, with many coops to buy an extra nesting box which fits easily onto the other side of the coop, so if you have a larger flock, you can provide adequate space for more hens to lay. In general, one nesting box, with two separate nests, will be enough for three to four birds. If you have more hens, especially regular layers, you may need more nesting space. As hens like to sleep as high as possible, it’s a good idea to have the nesting box positioned lower than the perch, otherwise, they’ll sleep in the nest and you risk egg damage and a lot of droppings in the nest. To make nesting boxes comfortable and to protect the eggs, they should be lined with soft dry bedding material and raised from the ground. You want your coop to be well built and sturdy. Coops are generally made of wood but there are a number of plastic and recycled plastic models on the market. Some models combine the two materials. With wooden coops, the most important feature to look for is the thickness and quality of the wood and the way it has been put together. Is the wood tongue and grooved? Does it have a sound structure and a solid base? Sometimes there are coops for sale with very flimsy timber and although they might last the first year without a problem, they will soon start to deteriorate. You want a good, solid, well-finished timber that will be resistant to the weather and galvanised steel hinges and metal work that won’t rust or break off. With plastic coops, make sure that the plastic is thick enough to ensure resistance to temperature and to the attempts of animals to scratch or chew through it. Whilst the material itself is waterproof, good plastic coops will also be watertight. Another thing to check is the integrity of hinges and locks. Whilst plastic doesn’t rot like wood, some plastic is more brittle and prone to snapping. Whilst finding a coop that you like the look of is important, you have to remember that the most important thing is that it is fit for purpose. How it looks may be what attracts you to it in the first place because you will see that it will make a nice feature in your garden – no one wants an ugly coop. However, just because it’s attractive, doesn’t mean it will be well built or a good place for your chickens to live. The chickens’ welfare has to be the main factor in your choice. The ultimate ‘mod con’ for chicken keepers is the automatic door opener. These excellent little devices allow you to control the time that the door of the coop opens and closes – thus saving you from having to do it yourself. This is excellent if you need to get off to work early, want a lie in at the weekends or are going to get home late. 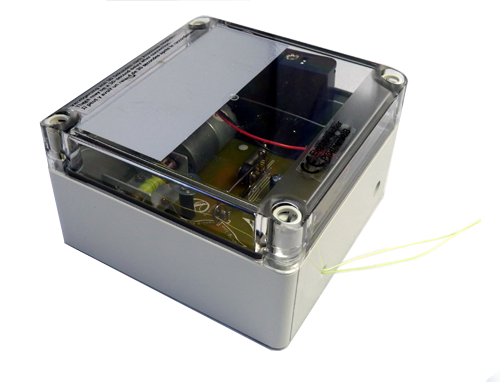 You can buy ones which operate automatically at dawn and dusk or others which work on a timer. They only work with vertical opening coop doors, but you’ll find lots of companies offering them and changing their coop designs to have vertical doors simply because they are becoming so popular. Whilst a run is not essential, the vast majority of owners have them – it prevents your hens from fouling all over your garden, eating everything in sight and turning your lawn into a barren mud pit. If you don’t have one, it makes your chickens much more vulnerable to predators too. It also makes it considerably less easy to round them up at the end of the day. 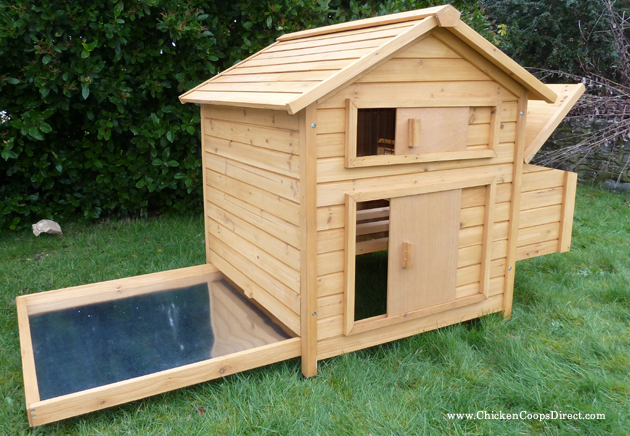 Quite a lot of coops come with runs built in or with specially designed runs that can be easily attached to the coop (the one above has both: the built-in one has a roof and the attachment doesn’t). Some coops come with runs that can be extended to allow you to give your hens even more space – remember that the minimum space required is 1 sq. meter per hen. Runs can also be purchased separately and there a quite a few manufacturers who can supply run covers to provide shelter from both rain and the hot sun – this is something we recommend. 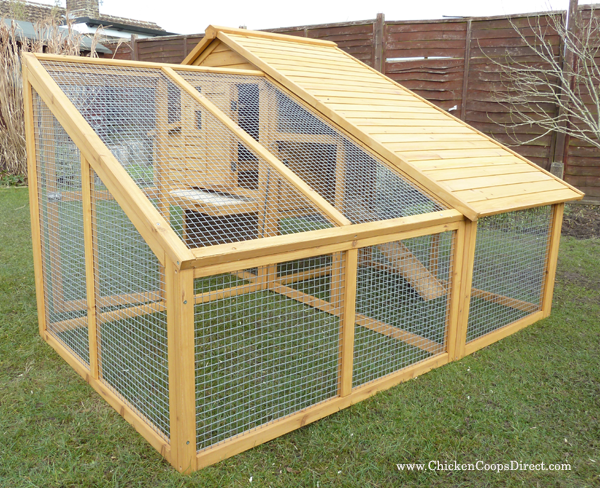 Just like your coop, your run needs to be well built and sturdy. The wood needs to be solid with strong joints, any metal parts need to be made of galvanised steel and it needs to be secure on the ground – a run that will blow over in the wind is not worth having. Always see if it can be attached directly to the coop or anchored to the ground. The wire used to protect the chickens also needs to be fit for purpose. What DIY stores commonly call ‘chicken wire’ isn’t really strong enough. Determined foxes will push and pull at it until they make the hole big enough to squeeze through. The wire is too flimsy and thin to properly protect. Instead, look for thick, more closely woven wire that is well attached to a solidly built wooden frame. Ideally, the run needs to have a mesh cover on the top as well as just fencing. This will prevent jumping foxes, birds of prey and climbing predators getting access during the day (foxes don’t just hunt at night). It also makes it a more robust structure. Perhaps the hardest part of the run to protect is the underneath. Foxes are not averse to digging under the fence to get in. It’s always advisable to protect your hens from this potential intrusion. There are a number of ways to do this: digging a 1 ft. trench around the perimeter of the coop and installing a plastic-coated mesh underground boundary is a commonly used solution. Others put wide heavy stones in the trench or hammer in some plastic corrugated sheeting. If you don’t want to dig a trench, putting a border of paving around the outside of the border can help too. Remember that inside the run your hens will also need access to a dry area of soil for them to take regular dust baths. Hens have dust baths to get rid of parasites on their skin and feathers. If your run area doesn’t naturally have this, then you need to provide them with some form of container with a deep layer dry soil and sand e.g., a cat litter tray or a large plant pot. If you want to let your animals have access to a larger space, even if just for a short time each day, then a run becomes impractical. Instead, consider an electric fencing kit to keep them safe. An electric netting kit can cost as little as £150 to £200 depending upon how much space you need to enclose. You don’t need to be a qualified electrician to install these. There are lots of places that sell coops and runs, particularly online. There are lots of decent retailers too and competition means that the prices are generally reasonable. 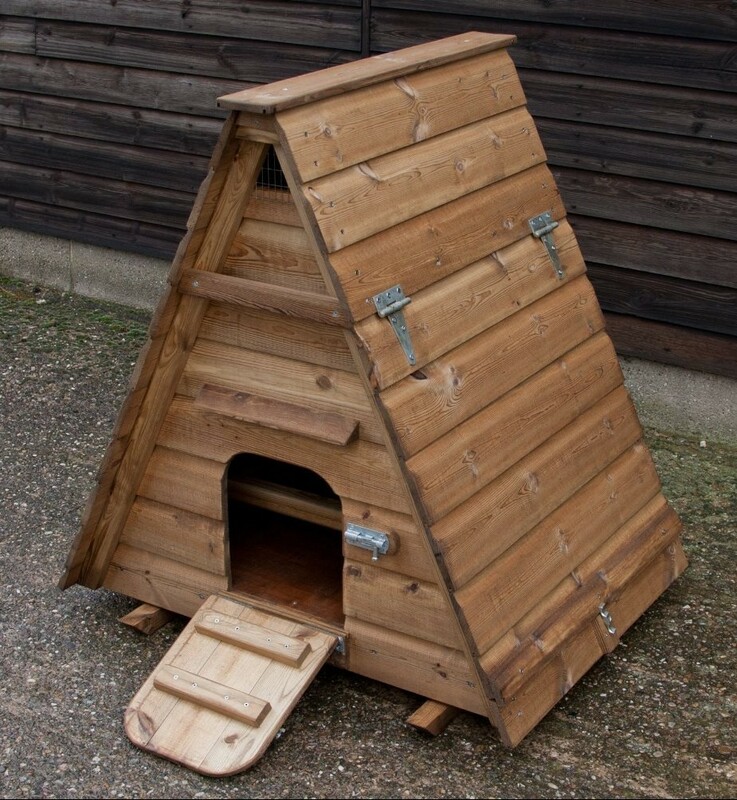 Do be wary of very cheap coops, especially those which are being sold for other purposes like rabbit hutches – the needs of the two animals are not the same, so neither is purpose built. Our advice would be to purchase from a poultry or chicken coop specialist – a company whose reputation is built on selling quality products to chicken keepers. You will find that these companies are very competitive with pricing, but the most important thing is that they will have the specialist customer service knowledge to help you choose the right coop and assist with any issues you may have. To put this to the test imagine yourself asking the following question to a retailer: Is your coop suitable for three Orpingtons? Who would you think could answer the question effectively – someone from a chicken coop specialist or someone from Argos? 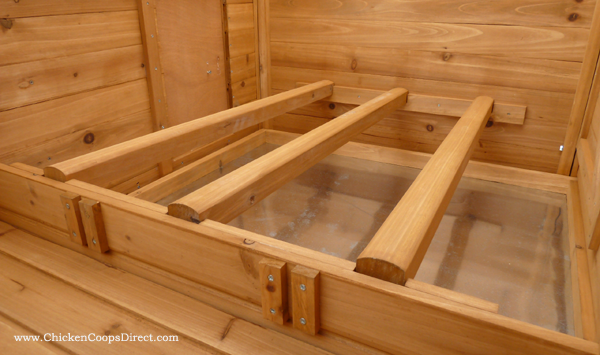 Many wooden chicken coops are pre-treated when you buy them. However, it’s essential that you regularly (i.e. annually) treat your coop with preservative to make sure it is weatherproofed. Always make sure that any treatment you do use is safe to use with animals. There are quite a few animal-friendly preservatives on the market. As your coop gets older, it may need repairing. Check for rotten timber, leaks in the roof and for splintered wood which may injure your chickens. Many things are easy to repair, but if you think the coop is becoming hazardous or no longer gives your flock the shelter and protection they need, it’s probably better to invest in a new one. Remember that you will also need both an internal and external feeder and waterer and some cleaning equipment. Hopefully, from reading this article you should have a much clearer picture of what you need to take into consideration when choosing a chicken coop and run for your hens. 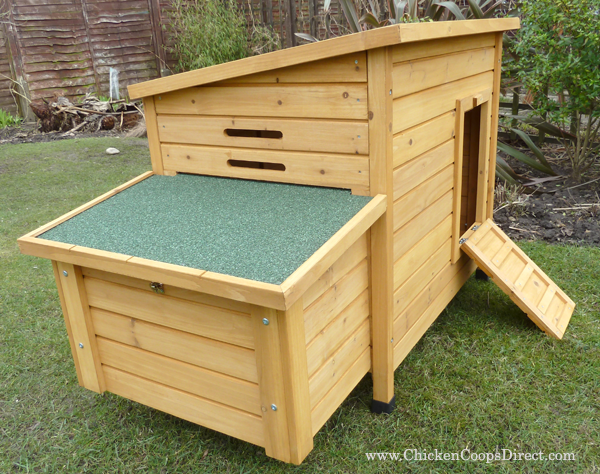 For more information on individual coops, check out our chicken coop reviews.